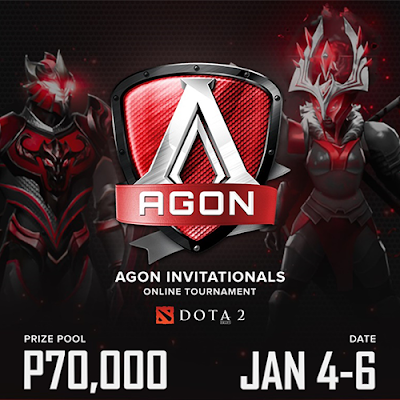 AGON aims to start the year of 2019 hot with the AGON Dota 2 Invitationals. With eight of the top local PH teams, the AGON Dota 2 Invitational will feature skilled players and seasoned veterans in intense competition. 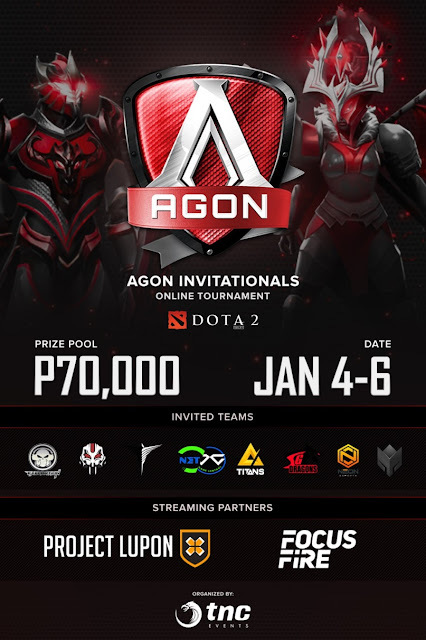 AGON Dota 2 Invitational will have some of the country’s best teams and challengers, with familiar names such as Execration, Sterling Global Dragons, and TaskUs Titans answering the call to arms. IAP, an up-and-coming team led by the veteran Nando will be playing. Local powerhouses ArkAngel, Miraculum, Neon Esports and NCGC will also be taking on the competition, completing the eight-team lineup of the tournament. The AGON Dota 2 Invitationals will be an online tournament played in a double elimination bracket. The teams will be battling in the “Contest of Champions” this weekend, from January 4 to 6. The two best teams will be going head-to-head in the Grand Finals on Day Three of the tournament. For a detailed look at the brackets of the tournament, follow the event’s official challenge page. A total of ₱70,000 will be at stake in this three-day tournament. You could watch the official streams via the LuponWxC NimoTV channel. 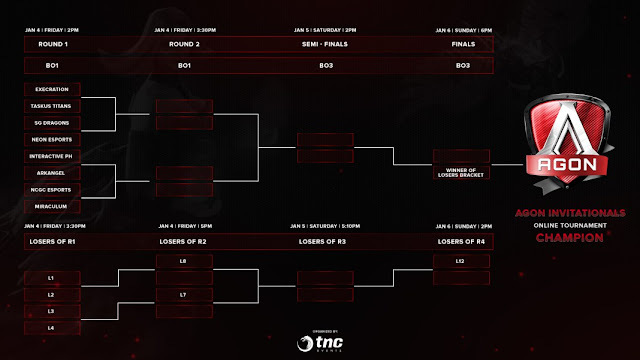 This online tournament was organized by TNC. AOC is a global merk providing the best display technology worldwide. AOC has been fulfilling their vision since 1967; bringing everyone access to the age of technology through quality visual displays. After it was founded in Taiwan, AOC quickly expanded globally, with AOC displays now sold in over 115 countries, and has recently ranked #1 in monitor sales in the Asia Pacific region. In 2016, AOC launched the AGON range of premium gaming monitors with multiple enhancements to display performance. AOC has also collaborated with leading designers like Porsche and Swarovski to produce limited edition luxury displays. To reflect AOC’s relentless pursuit of ever-improving visual quality for users, and to emphasize AOC’s commitment to its vision, AOC created the slogan: “Vision at Heart” – at AOC, we’ve kept the hearts of our users in our vision, and we’ve kept their vision in our heart.